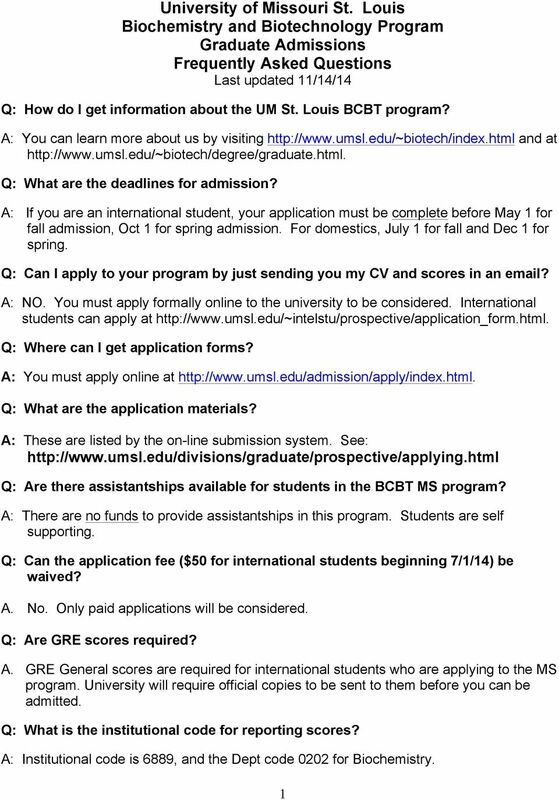 Download "University of Missouri St. Louis Biochemistry and Biotechnology Program Graduate Admissions Frequently Asked Questions Last updated 11/14/14"
Application Deadlines - If students are relying on financial aid, it is best to apply for the Fall semester. 1. 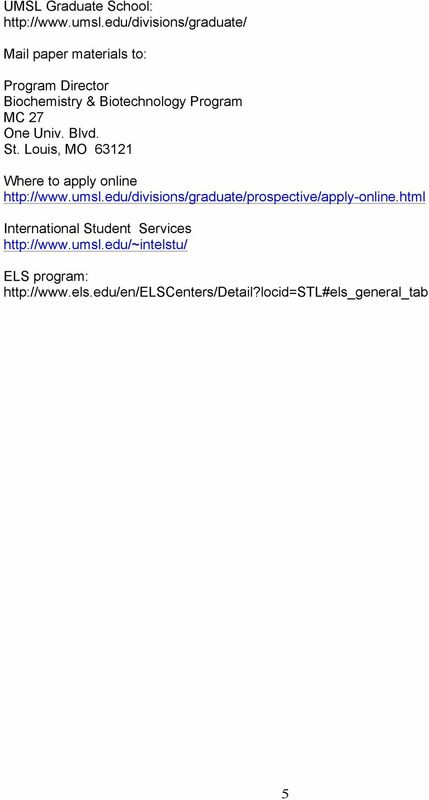 Name: EdD - APPLICATION Doctor of Education in Educational Leadership Department of Educational Leadership and Policy Analysis (ELPA) University of Missouri Last First Middle 2. Present Address: 3. 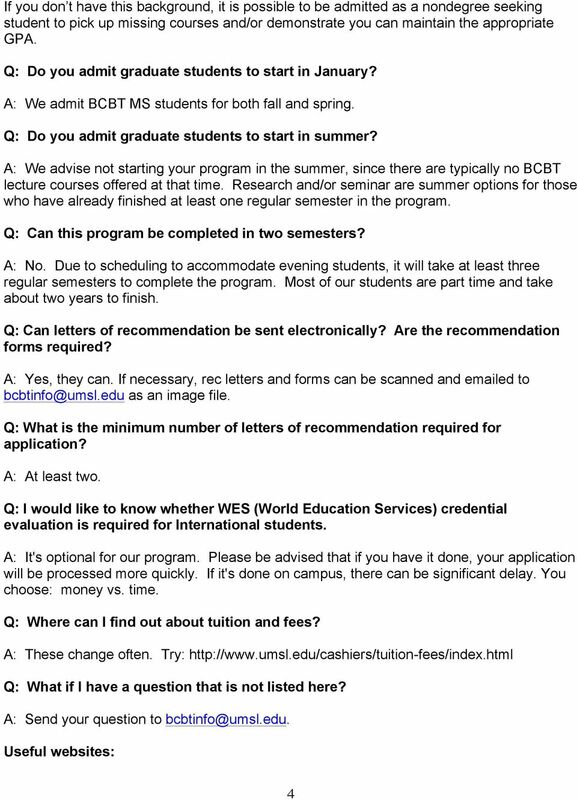 Information and Instructions for Applicants All application materials must be received by December 31 st for consideration the following academic year. Students are accepted in the Fall semester only. 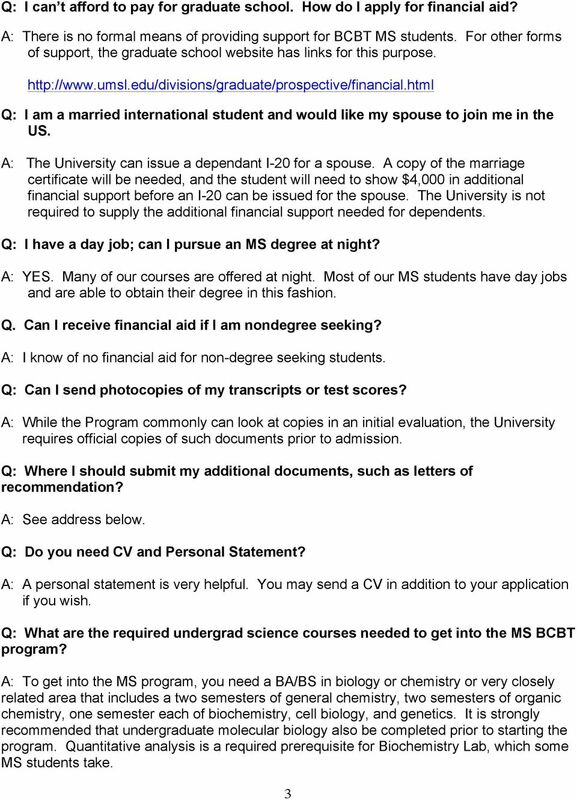 Master of Design Admissions FAQ General Questions Who is the best person to contact with questions about the Master of Design? 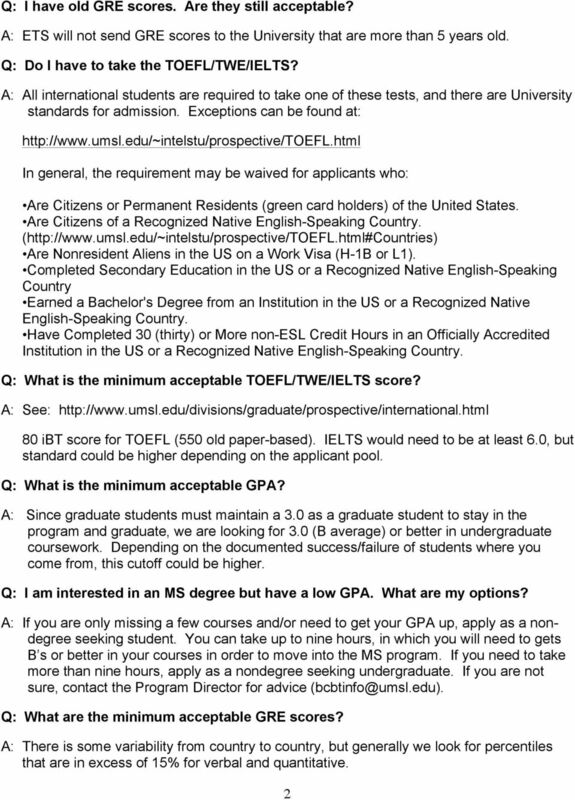 You can submit a request for information on our website: http://daap.uc.edu/academics/design/m_of_design.html. Thank you for your interest in the Medical Laboratory Science Program (Medical Technology at the University of Colorado Springs (UCCS).